Image Size: 16 X 29 in. Scott Gustafson creates treasures for the child in each of us. 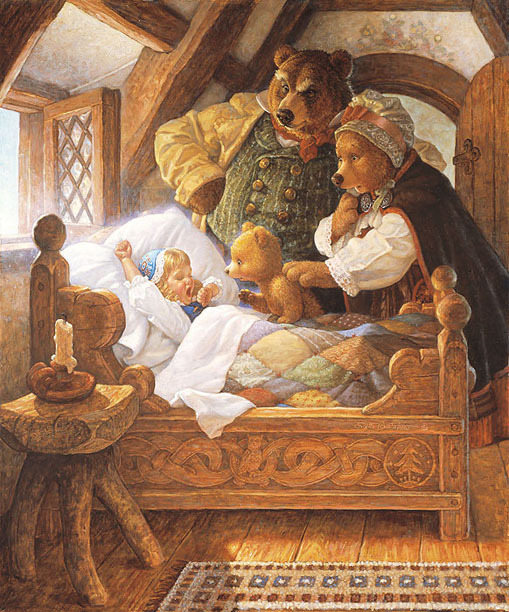 Goldilocks seems as real as your own favorite little girl, while he makes these fantasy bears comes to life. From the bed’s woodworking to the opulent bedclothes and clothing, Scott Gustafson has created a fairy tale that can hold a valued place in the library, a child’s bedroom or any safe haven in a house where imagination is prized.